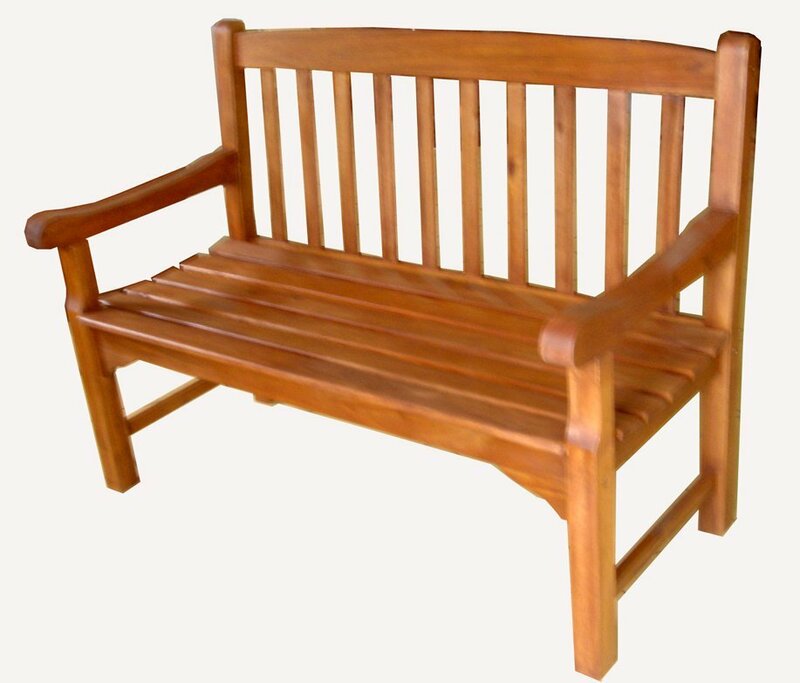 Sit with another, friend or lover, with the Rangoon 2 Seater Bench. 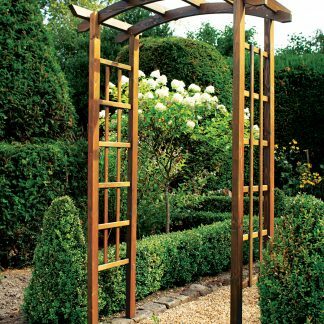 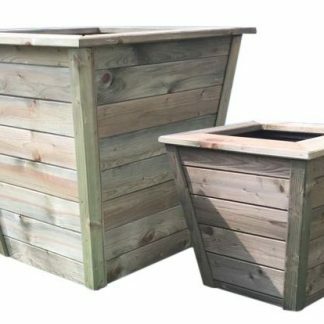 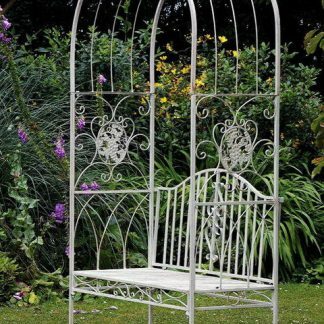 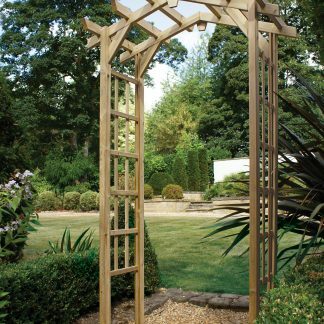 It is a beautiful piece that will add to any outdoor space. 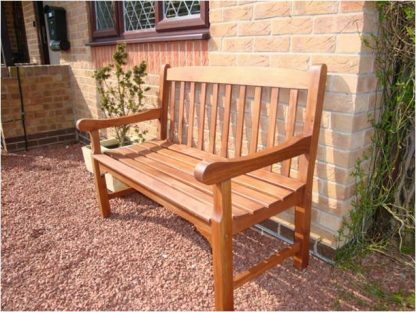 Its simple design and warm wood create an aesthetic appeal that you cannot match with other benches. 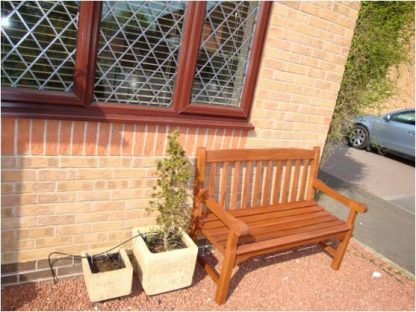 It is welcoming and enchanting, providing a functional and attractive addition to your property. 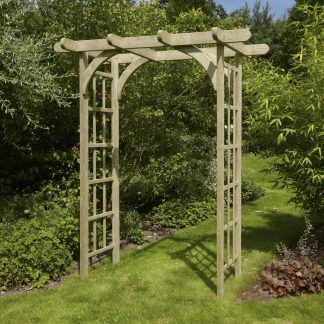 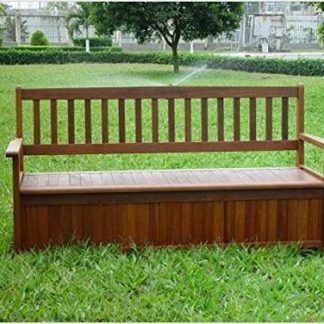 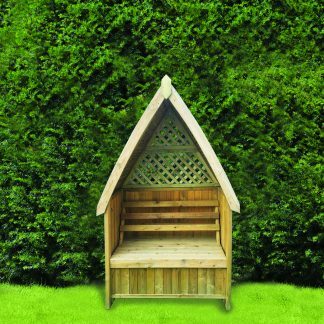 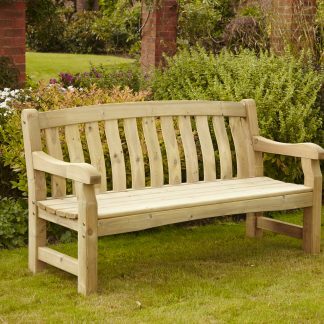 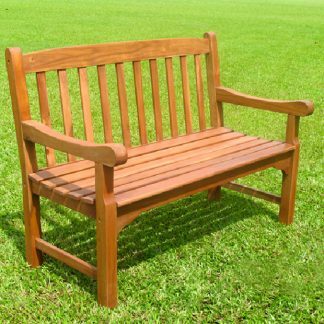 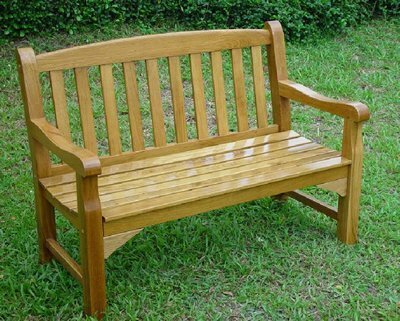 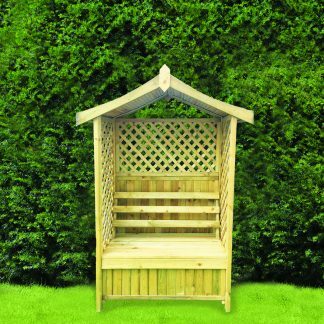 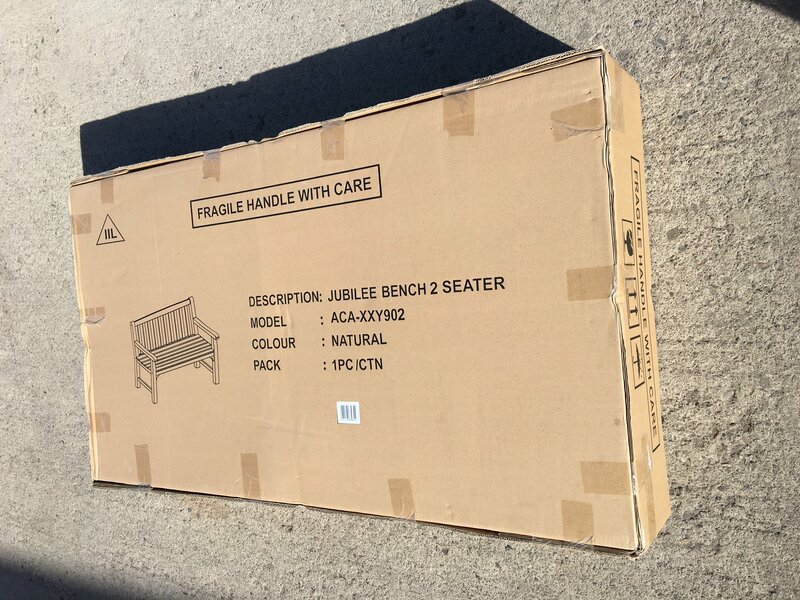 This is a very high quality bench, and our number one best selling wooden garden bench. You can have this together in one piece very quickly. 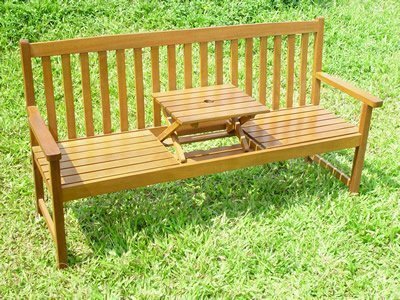 Thanks to its simple design, the locally made quality and the packaging, it is a manageable bench for all. 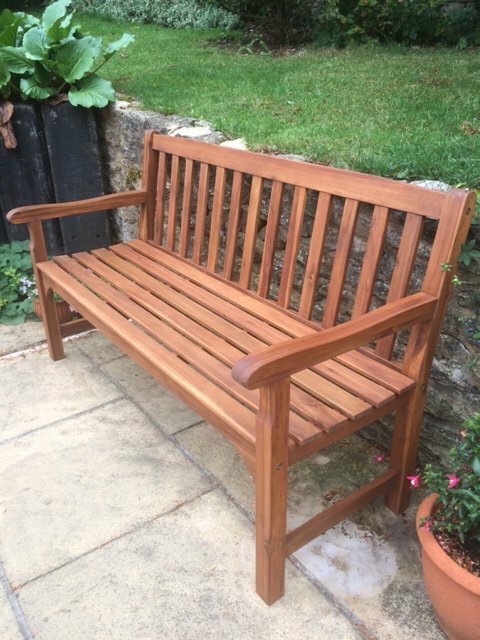 You can have it together and in place within minutes of receiving it, just 4 pieces for ease, the back, 2 side arms and the seat. Weather and stain resistant finish. 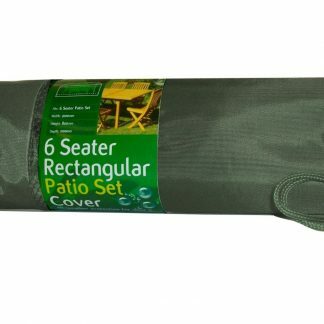 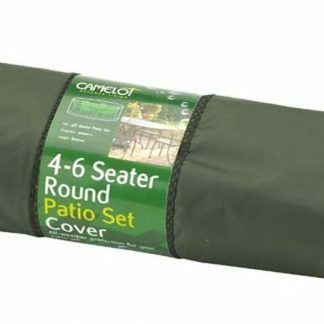 Why not add a cushion for extra comfort and a protective cover to help protect from the weather. 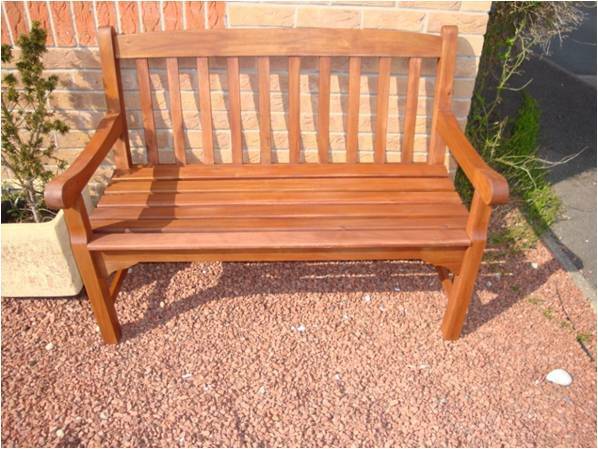 Also available in a 3 seater and 4 seater version.